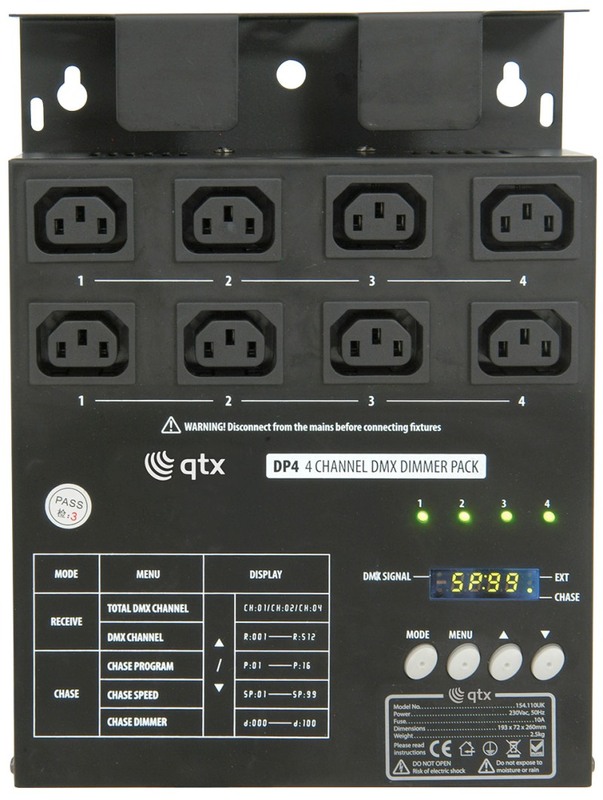 QTX DP4 is a 4-channel DMX dimmer pack, identical in construction to the MultiSwitch. 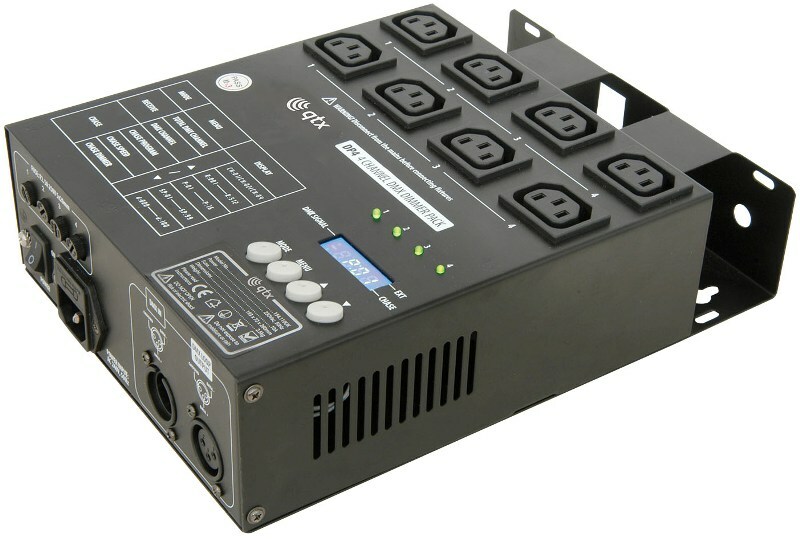 Designed for stand or wall mounting, it connects to any DMX 512 controller and can control PAR Cans or Beam lights. The DP4 also has 16 built-in chase programs so it can also be used as a stand alone unit.